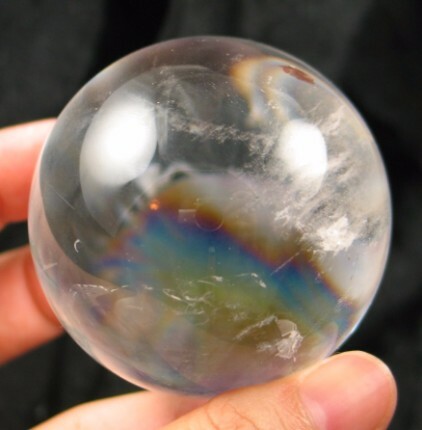 What a breathtaking beauty! 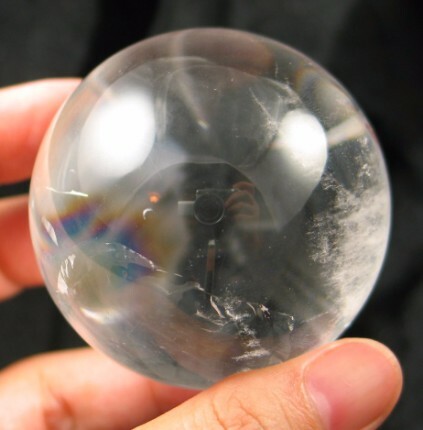 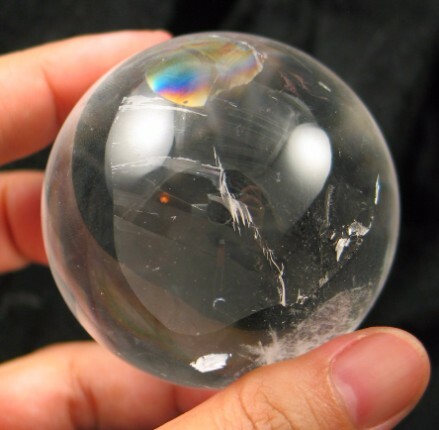 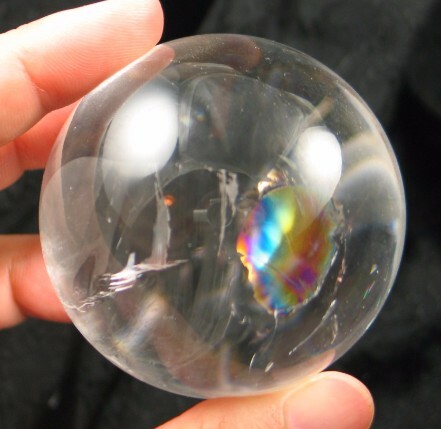 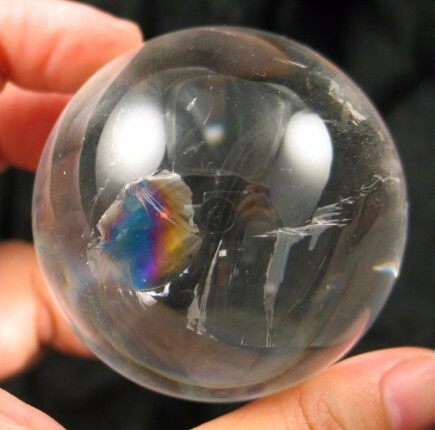 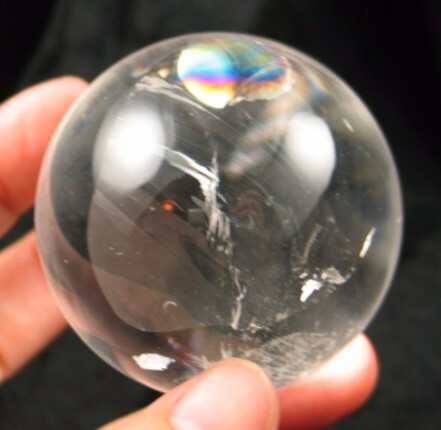 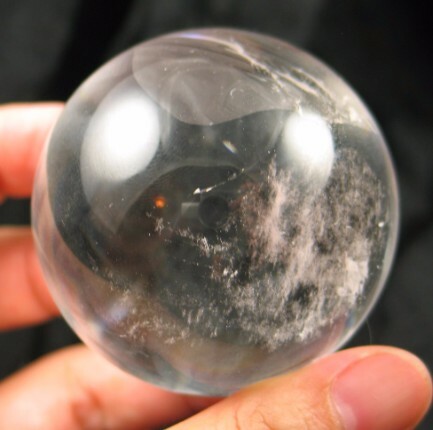 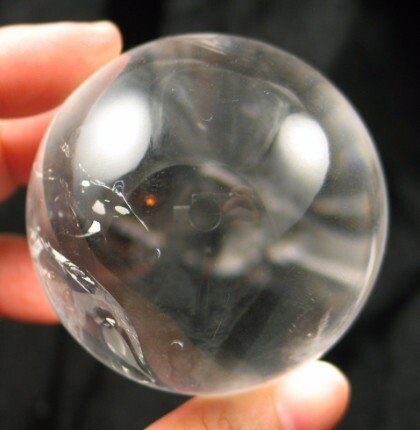 With close to 97% clarity, this sphere polished from Brazilian quartz is just amazing. 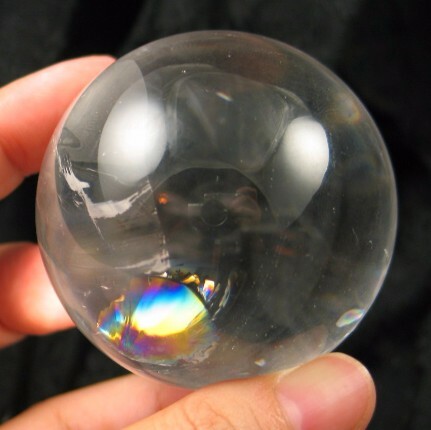 Growth planes and small silvery rainbows dance throughout the interior of this jawdropping sphere.